Panaji: The Goa government said it will not allow any private hospital to be registered for kidney transplant till state-run Goa Medical College and Hospital set up such a facility. Health Minister Vishwajit Rane told reporters that the permission granted by a committee to allow a private hospital (Manipal Hospital) to conduct kidney transplant operations has been kept on hold. “I will not allow any private hospital to conduct kidney transplant till we start such a facility in the GMCH. I have instructed the GMCH to start the facility as soon as possible,” he said. “I will dissolve the committee which was formed to decide kidney transplant and which gave the approval. A new committee will be formed soon,” he said. “I will not consider registering any hospital for kidney transplant till GMCH does its first kidney transplant,” Rane said. 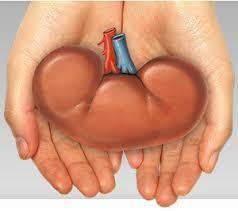 The state-level committee last month granted approval to Manipal Hospital to conduct kidney transplant operations.